You can delete employees or just block their entry to your portal. It is convenient if you often use freelancers as contractors or you need to grant temporal access to colleagues who you work with on project basis. Place mouse cursor on employee’s name. 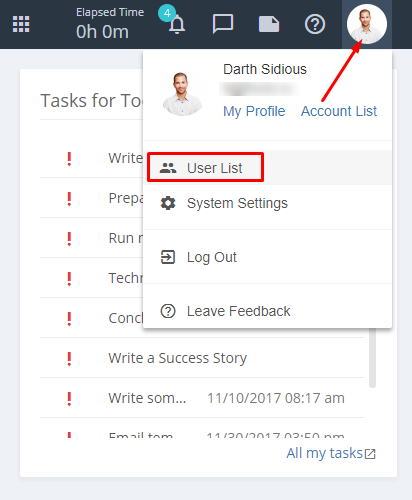 You will see “X” icon which can be used to delete employee account. Warning! When you delete employee profile, all connected information (tasks, projects, contractors, invoices are saved to Flowlu. But user will not available to enter your portal using his account. If you decide to add him again, information and notes will be restored. Go to User List and uncheck Activity box. After that employee will not be able to enter Flowlu portal. All notes left by an employee in service will be saved. keyboard_arrow_left How to designate a user as administrator?